I hope you're all having a good 2015 so far. I took a little unexpected break for the past few weeks, but Lost Art is finally back in action! 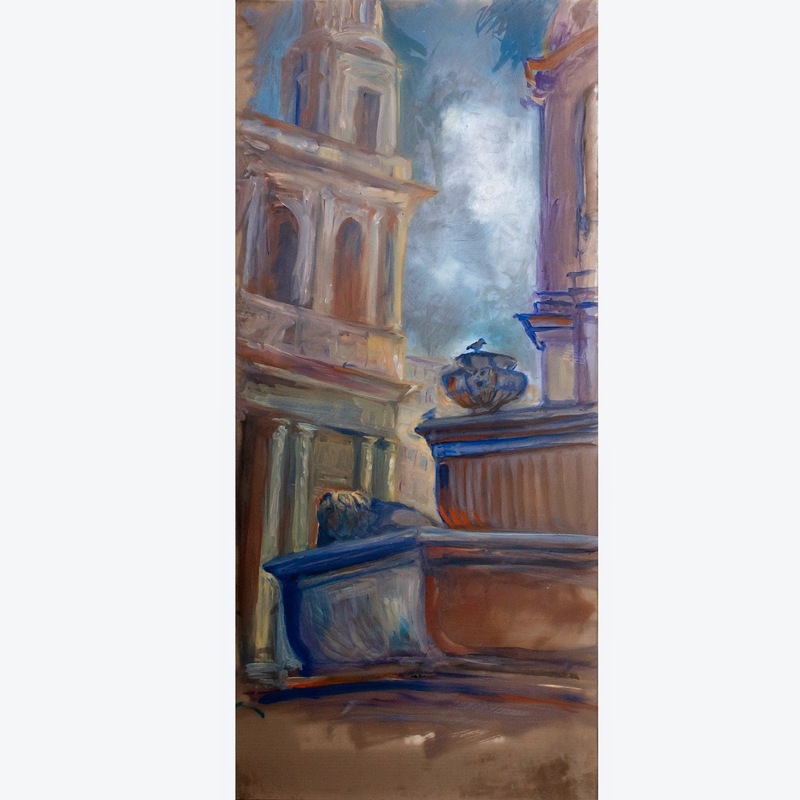 I'm in Paris again, and today I left #20 in the series on the Place Saint-Sulpice. Hopefully I'll get back into my rhythm so the next one won't be such a long wait. It has been unusually cold here lately and difficult to stay outside painting for long periods. But the winters in Paris are never very bad for very long, so I'm optimistic that my painting pace will pick up soon! 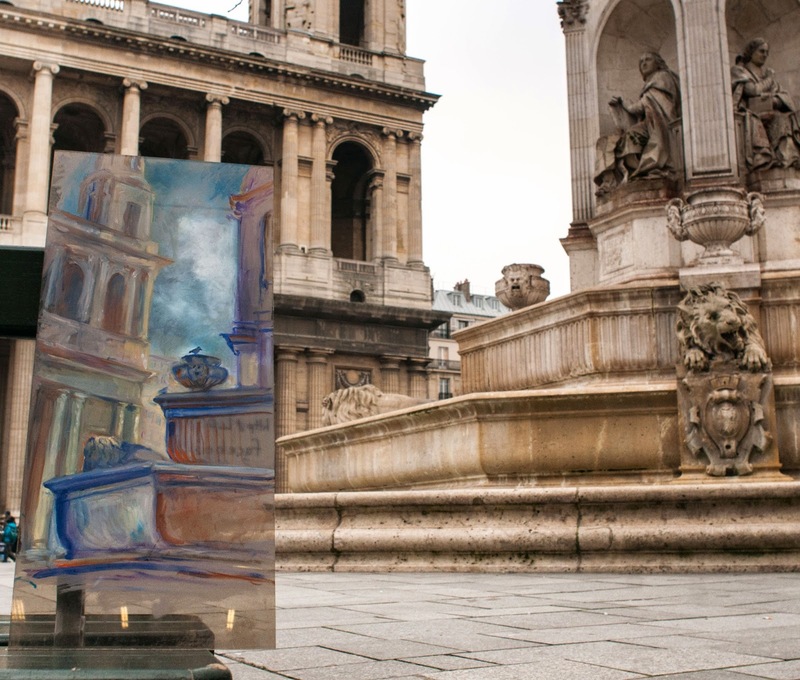 This painting, oil on found tinted plexiglass, 27.7 cm x 61 cm, was left on the Place Saint-Sulpice in Paris on Feb 9, 2015 at 5:00 pm.